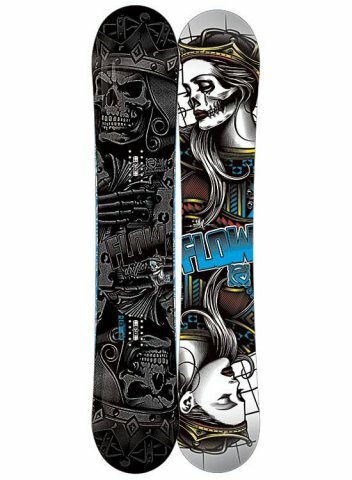 The Flow Drifter is an interesting board for those that like powder but also want to ride when it’s not dumping. It’s a continuous rocker that is not too loose between the feet with a directional shape and set back stance. This makes it really easy and fun in powder if you like to ride one direction. This border line excellent ride in powder is probably the Drifter’s best quality. After that it’s fun on groomed runs and not terribly difficult to butter if you want to take a mellow to moderately aggressive all mountain freestyle approach to groomers. Carving isn’t ideal but it’s not bad for a continuous rocker snowboard. There is nothing terrible about the Drifter but nothing exceptional either. It’s one of those boards that can do everything average to good and give a predictable and smooth ride. We try to get as many images of the Flow Drifter, but forgive us if they're not all there. 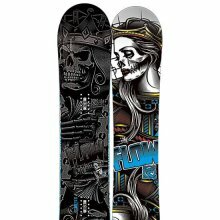 I purchased this board to get myself out of the rental group that was is provided by our local ski resort. 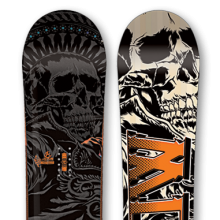 I must say that I have excelled at learning to snowboard by purchasing the Drifter. It handles hard pack and powder very well. Its a great cruising board if you just want to slash the runs. Very responsive under your feet.